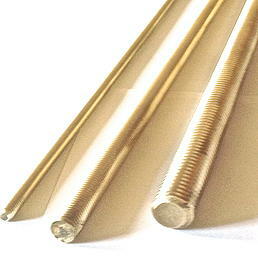 Manufactured from free machining brass, the brass threaded rod is highly resistant to rust and atmospheric corrosion. One of the main advantages of the brass threaded rod is its ability to conduct electricity and retain its shape, size, and tensile strength even after being used in the harshest environments. Threaded rods are metal fasteners with threads cutting along the length of the rod from both ends. 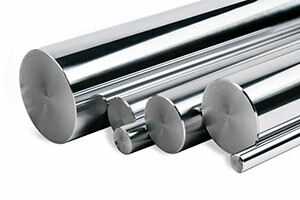 Depending on the type of project, the length and material of the rod will vary. Fit – Class 2A fit. We offer rods with all major thread forms – Acme, Metric, Unified, Worms, and knurls. If you need anything other than the mentioned specifications for a special project that you may have, feel free to contact us and request a custom quote. Our experts will understand your needs and we’ll manufacture the rod to the exact specification that you’re looking for. We use proven manufacturing methods to create the product to your specifications. One of the qualities that have made Suburban Industries a leading authority in industrial supplies is our attention to detail; we take extra measures to make sure that the rods that we manufacture offer the highest possible quality. During repair work to secure parts together and with most standard size fasteners. Industries including plumbing and electrical, manufacturing, automotive, and construction. Part alignment in various industrial machines. Browse Our Catalog for product offerings and specifications. If you don’t know which threaded rod to choose for your specific application, contact us and let one of our representatives help you.